For many Plant City residents, the best way to honor the memory of Dean Snyder is to do what he loved. With that in mind, Snyder’s family and the Plant City YMCA are continuing the Dean’s Ride: Strength and Honor fundraising ride to help kick off 2015. Unfortunately, Snyder died before he could ride in the 2014 event. 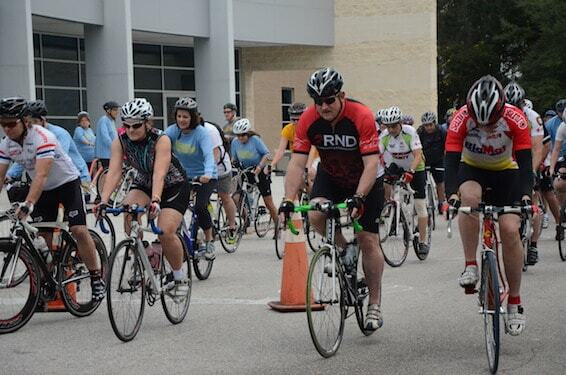 But the 2014 ride was even more popular than the first one: The YMCA reported a total of 150 registered cyclists and more than $5,000 raised for the Plant City Family YMCA’s Livestrong program, a free, 12-week wellness program that supports cancer survivors and helps them achieve a healthy lifestyle. The ride is open to anyone 14 or older and comes with a $30 registration fee. That money will also get each rider a goodie bag filled with a T-shirt, coupons, trail mix and more. Riders can register on-site the day of the event, beginning at 7 a.m., and may also register at the Plant City Family YMCA today. Riders will start and finish at the Hillsborough Community College’s Trinkle Center, and Lakeland-based Dave’s World Cycle will have people biking the paths to help riders with mid-ride repairs. All riders are required to wear a helmet, as the paths follow open roads. There will be rest stops along each path, with water provided. The ride is slated for an 8 a.m. start, and a light breakfast will be provided beforehand. After the ride, the Daybreak Rotary Club will provide a light lunch for everyone. This year, Scott and the YMCA are hoping that Dean’s Ride will top last year’s totals in both participation and funds raised. And, of course, they’re hoping that everyone just goes out there and has a good time — exactly what Snyder wanted the event to be to begin with. Contact Justin Kline at jkline@plantcityobserver.com.